Chuck Liddell and Tito Ortiz are set for a trilogy fight later this year. The two mixed martial arts legends will go head-to-head in an MMA event being put on by Oscar De La Hoya’s Golden Boy Promotions. The show goes down from The Forum in Inglewood, California on November 24th. Liddell and Ortiz’s first fight happened at UFC 47 back in 2004. “The Iceman” won that fight with a second-round knockout. 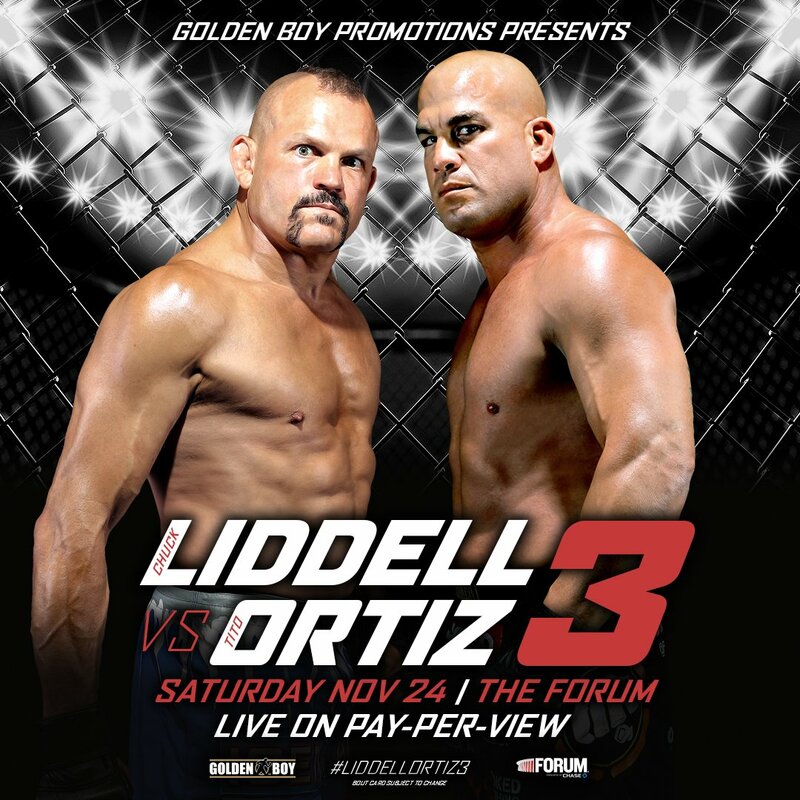 Liddell went on to capture the 205-pound title while Ortiz strung up a five-fight win streak. They rematched at UFC 66 in December of 2006. Liddell again finished Ortiz with a TKO win in the third round to retain the UFC light heavyweight title. Now, over a decade later, Ortiz will try and finally pick up a victory over his longtime rival.